Alright, I’m back from a self-imposed sabbatical, if having continuous holidays is good enough for Koeman then it’s good enough for me. Well I’m back now, here again to write some words about Everton that hopefully won’t bore your kecks off. So what’s new then? We’ve got a manager, which was a good start. Koeman was definitely a preferred candidate, so kudos to all involved with that decision. But we don’t need to go into that, there have been enough articles about it already. If I read another recycled, half arsed rallying cry about a “new Everton” I may just stop interneting all together. What else? Darren Gibson got a new deal, bit of a weird one, that. Tim Howard has gone, which makes me happy. Leon Osman and Tony Hibbert have gone, which also makes me happy. Yes they left without fanfare, but do remember that both had testimonials. What other fanfare was there to make? Have a parade and bring out all the trophies they won with us – oh wait… Everton have lacked somewhat of a ruthless streak recently, if the ambitions are as lofty as alleged, then such a streak will be a necessity. Outside of Everton, heads seem to be rolling and it’s absolutely fantastic. Anyone read that “Why Premier League Sides Shouldn’t Let Everton Have Axel Witsel”? Contender for catchiest article title, right there. If it’s this bad now, imagine what it’ll be like when we actually start signing players? Well now that’s us all up to speed, let’s talk about money. This is only a short one, my pre-season if you will? Standards are changing within the Everton fanbase and rightly so, but the rise needs to be kept in check. While using my new Everton Aren’t We App, available now on all good smartphones, I noticed some comments from blues regarding a potential move for Marseille goalkeeper Steve Mandanda. While the move never materialised, a fantastic signing for Palace by the way, it still offers some food for thought. Some were suggesting he wasn’t a good enough signing purely because he was available on a free transfer, yes this is the four time Ligue 1 Goalkeeper of the Year we are talking about. The idea that every signing this summer needs to be bordering on a record fee is just not feasible. Just because Everton have gained a much-needed cash injection, it does not mean that the notion of ‘value for money’ has now gone out the window. We’ve already seen one clever buy in Maarten Stekelenberg, who provides decent competition for the No1 jersey, bags of experience and a player that Ronald Koeman has an excellent relationship with. 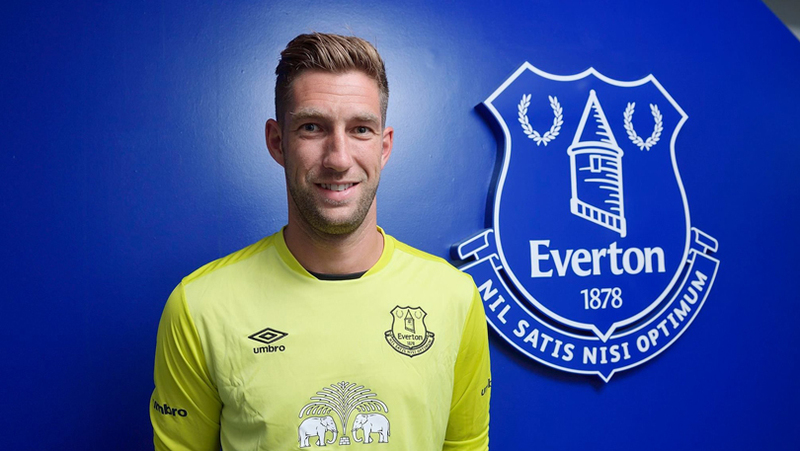 While it may seem underwhelming for many Everton fans, should the club really be going out and spending £15 million on a player who will rarely see first team action? On top of that, another more expensive option may not bring as many positive qualities as Stekelenberg, player recruitment goes much further than the transfer fee. The same can be said of another keeper that we’ve been linked with, Kasper Schmeichel is apparently available for £17 million. While this may seem like a sensible fee, it must be remembered that Everton need a major squad overhaul and the budget is not bottomless. Surely better value can be found in the shape of Asmir Begovic? The Bosnian is a year younger, consistently proven in the Premier League and allegedly costing around £9 million less. Rather than be swept up by flavours of the month and endless big names, club and fans alike need to be much more cunning this summer. As a club we have excelled at unearthing bargains for years, it is not something we should look to disregard so quickly. Right, now that’s your expectations tapered, let’s send them into overdrive once again. Juan Mata has been linked with a move to Goodison in recent days, and although there have been no substantial and concrete reports, nobody is ruling anything out. Personally I think he would be the perfect marquee signing for the club, he is a player in his prime who is capable of playing at the highest level. Mata would provide some much needed creativity, which Everton have lacked since Steven Pienaar jibbed off his dreads. That sort of quality is difficult to find in the modern game, it’s also expensive. If Juan Mata could be one of the first names through the door this summer, which I stress is a considerably big if, it could make the subsequent recruitment of players a hell of a lot easier. For me, it’s a no brainer. Dreaming is nice, but a healthy dash of realism will hold us in good stead for the coming window. Or Moshiri could think sod it and pay Lionel Messi in private islands. Who knows ay? Whatever happens, it has to be better than Graeme Jones directing a corner that hasn’t been practiced. Say we sign Pelle, Witsel and Mata…does that put us over the top to breach the Top 4 or 6? Obviously growth of Barkley and Funes Mori have something to do with that…as does chemistry, but are you confident for such a push if that’s the squad? Oh, and say we sign Schmeichel, too, I guess.